Taking place in the heart of the Huichol homeland in western Mexico, this book offers a rare in-depth look at the inner workings of Huichol shamanism, which is permeated with the use of the sacred peyote cactus. Outsiders are almost never allowed access to Huichol sacred sites and ceremonies; however, James Endredy, after years of friendship with Huichol families, earned the privilege nearly by accident. Swayed by persistent pleading, he agreed to take another gringo into the mountains to one of the Huichols' ceremonial centres, and they were both caught. After trial and punishment, Endredy was invited to stay within the sacred lands for the festivities he had illegally intruded upon and found his initiation into the Huichol shamanic tradition had begun. 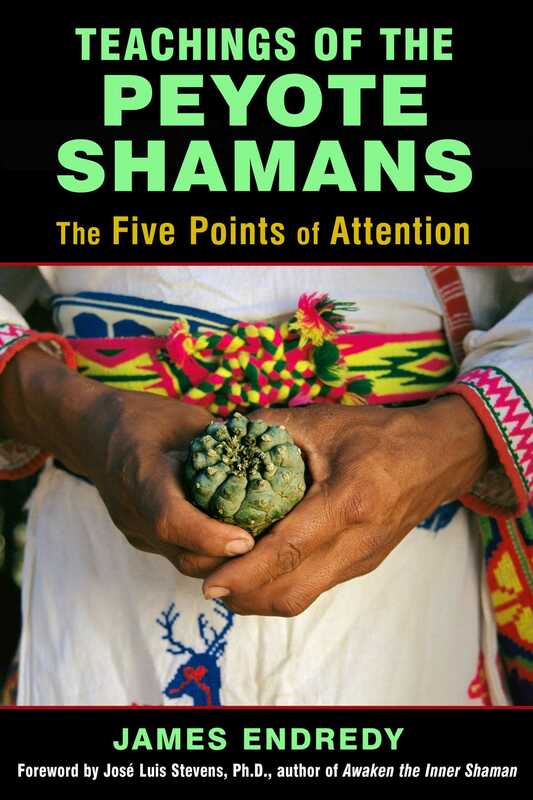 Sharing his intimate conversations and journeys with the shaman he calls "Peyote Jesus," the author explains how Huichol belief revolves around the five sacred directions, the five sacred sites, and the five points of attention. As Peyote Jesus explains, the five points of attention refer to dividing your awareness yet staying focused on your inner self. This is not a normal state of consciousness for most people, yet when we maintain these points of attention, we discover our true essence and move closer to God. Endredy undergoes dozens of spiritual journeys with peyote as he makes the pilgrimages to the five sacred Huichol sites with Peyote Jesus. He is shocked by his vision of the Virgin Mary while under peyote's guidance and learns of the deep relationship--strictly on Huichol terms--between their cosmology, Gnosticism, and Christianity, especially Jesus Christ. Providing an inside look at the major ceremonies and peyote rituals of the Huichol, this unexpectedly powerful book reveals the key tenants of the Huichol worldview, their beliefs in the afterlife, and their spiritual work on behalf of all of humanity. I was sitting alongside Maria outside her little house watching her do her weaving when Jesús appeared and said cryptically that I was being summoned by the ancestors to Teakata. We left immediately. The hike to the physical center of the Huichol world is not very far from the ceremonial center of Tuapurie; I’d estimate three to four miles. But around Tuapurie are deep gorges with narrow, rocky trails that make walking difficult and strenuous. However, the physical climb was the least of my worries, because the closer we got the more I began to feel ill. Not in my body but in my head. This did not happen to me the first and only other time I had been there. On that occasion I was visiting the community of Pochotita at the time the kawitéro (spiritual elder) was taking the people to Teakata to change the roofs of the many little rirrikis (family shrines) of the ancestors. Teakata, from what I know as a tewari (non-Huichol, non-Mexican white guy), comprises caves and shrines of the most important ancestors, including Tatewari, Nakawe, and Maxakwaxi. As I gazed into the gorge containing the most sacred place of the Huichol, I felt like turning around and running away as fast as I could. Jesús noticed this and firmly grabbed my arm and asked me what was wrong. I told him I didn’t know but that I didn’t want to go to Teakata. Jesús led me a short distance away and we sat on the ground of the mesa above Teakata, where he began a formal instruction. He started by telling me that now that I was more sensitive to the powers of the ancestors I needed to know how to handle myself correctly. According to Jesús, Teakata--the center of the five sacred points of the Huichol universe--was the perfect place to begin my instruction. “To touch the spark of god within you, you must start by nurturing your true being, your esencia (essence). You see, you have three important parts that make up ‘yourself.’ You have your inflated ego--I am this and I am that. You have your essence--this is your true being that you were born with. And you also have your personality--the acquired characteristics of James. Aside from your physical body and eternal soul, in this life you are basically your ego, your essence, and your personality. Your ego is the trickiest subject, but we cannot work on fixing it until we learn about essence. We have to work on our true being. “Pay attention to this. We are born with our true being, our essence, which grows within us during early childhood. But modern man, industrial man, their essence ceases to grow after age 3 to 5 because the ego and personality are the ones nurtured by parents, school, job, relationships, and so on. The essence has no place in the busy lives of modern people so it becomes stagnant and malnourished. I have seen that for people like you--Americans, Mexicans, Europeans, and other cultures that follow similar ways of life--there are usually only two stages of growth in life: growth of the essence as little children and then growth of the ego and personality until death. “Older, no. Wiser, maybe. That depends on what you call wise. Inner wisdom of one’s true self--yes. Knowledge as in books, computers, jobs like carpentry, banking, office work--no. You see, time is no factor. I know teenagers in the Sierra who know their essence more than any seventy-year-old man I know living in the city. What I am saying is the quality of life is much different. You and I both have what can be called ‘book knowledge.’ You probably have a lot more than me. But as much as we can know about words and mathematics and science and philosophy and even the Bible, all of this, except for what we are truly gifted at, has nothing to do with our essence.